Spring brings with it many exciting celebrations. Weddings, neighborhood parties, beach parties, music festivals, and fairs all bring with them many reasons to relax and enjoy the beginning of an exciting and fun-filled summer. While many new Toyota vehicles are equipped with the latest safety features, technology and equipment, there’s no substitute for an alert and sober driver. If you know you’ll be driving after the festivities end, be mindful of the amount of alcohol you consume. Legal blood alcohol levels are just .08% for drivers 21 and older. A first offense DUI conviction in Florida carries a penalty of 6 to 9 months in jail, between $500 and $2000 in fines, and a license suspension of up to one full year. So even if no one is hurt, a DUI has the potential to change lives for the worse. Staying put by renting a hotel room or staying on a friend’s couch is a much better option than getting behind the wheel after too much celebrating. The price of a hotel room is a fraction of the cost of an accident or DUI conviction. So consider the money saved, instead of the money spent when making the choice to spend the night instead of driving home. Not everyone makes the right decision after a celebration, so even designated drivers who refrain from drinking alcohol completely need to be on high alert for impaired motorists. 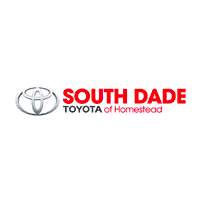 Here at South Dade Toyota of Homestead, we want you to safely enjoy all of the festivities and celebrations that South Florida offers.